Free up more time to spend with your family or finish up last minute shopping. 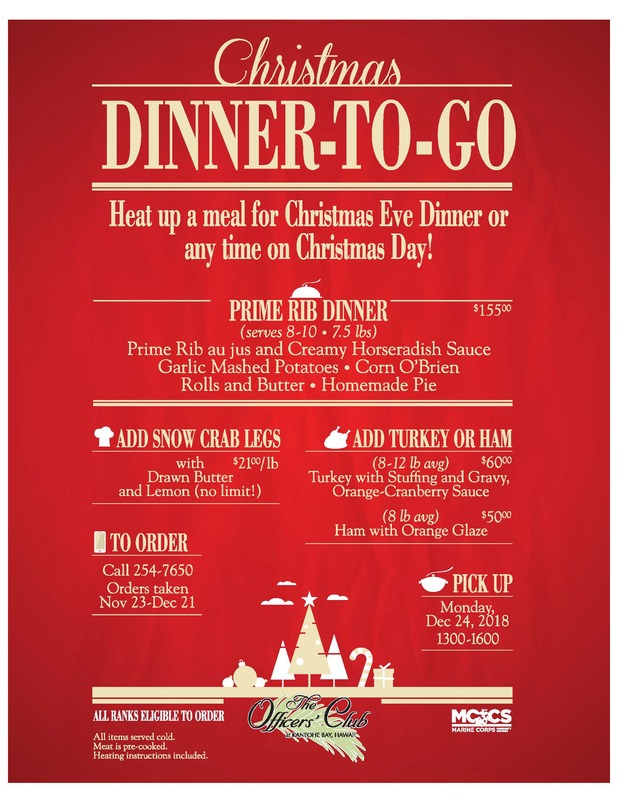 Pre-order a complete meal for Christmas Eve or to heat up on Christmas Day. Orders will be taken Nov 23-Dec 21. 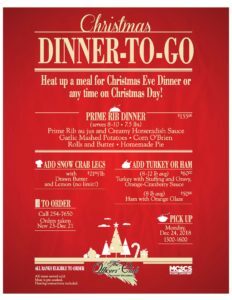 Call 254-7650/0905 or visit The Officers’ Club to place your order!